Some quotes on leadership by renowned author John Maxwell. People never care how much you know until they know how much you care. For those who are in leadership positions or for those who intend to be in one someday, here are 5 leadership levels to keep in mind. 1. The “BOSS” – Authority without attitude and character. Throws around weight. Attracts negativity and ridicule. 2. The leader who is a Friend– Understands people. Makes people feel comfortable. Most times, due to the friendly – cause no harm attitude fails to deliver optimal results. 3. The leader who is a friend but also result oriented – Is able to balance being friendly while ensuring the team is able to deliver on results. 4. The leader who is a result oriented friend and focuses on individual growth – Focuses on personal and professional development of team mates, as they deliver results. 5. The leader who creates empowered individuals who go on to create other leaders. – Master at the art of creating leaders. It’s a simple but powerful word. Move. Personally, I can attribute a lot of the good things that have happened in my life to just this one action – moving. Other successful people I know, have made some or all of these moves to get to where they are. So what can you move? Here are 10 ideas, that will hopefully help you figure out your own best moves. 1. Move yourself, to a bigger city where all the action happens. 2. Move your standards higher, to the level where you don’t settle for anything less than you deserve. 4. Move away from the people and relationships that don’t make you happy. 5. Move towards sources of learning and growth. 6. Move from your current circle of influence to the one that helps you live life better. 7. Move your money to places where it can grow. 8. Move closer to the ones you love. 9. Move your focus to the things that are more meaningful. 10. Move from living life aimlessly to designing your life consciously. Go ahead. Make a move. I was abroad doing my masters. One evening at the restaurant where I used to wait tables, I overheard a guy say to his daughter, who I assume was trying to make a career in art. “Artists don’t make money. You will barely make ends meet.” There were more such discouraging statements that followed. All driving home the same point. The first one hit me hard. So hard, that I instantly got lost in a bunch of thoughts. It blurred out all the noise around me. I thought to myself, is that really true? Made me sad for a moment. My inner instincts have always been to rebel against the easy and ordinary, I really wanted to go to the girl and whisper in her ears. “Don’t Listen to your father, go follow your passion”. I started thinking of ways to write a little note on a tissue and slide it in with her dish. The guy who was serving her table was a friend, so I had it all planned out in my head. Only Until, my abusive boss yelled at me to go take care of a silly customer, who I had apparently ignored while being lost in thoughts. Reality struck, After all I was a waiter there. With a uniform that had a faded restaurant logo that made me look like I needed help in life. Anyway, fast forward to today. As unreal as it sounds, Most of the work I do is with Artists. We see all kinds of them everyday. I have personally interacted with more than 200+ artists who are full time and may be double the number of people who were considering to move into some form of art. We’ve learnt a bunch of things in the process that we think is valuable to anyone considering or trying to make a career in Art. If there was any time in history to be an artist and pursue your passion, it is now. There are more tools, courses, companies and entire industry ecosystems that exist today than they did ever before. Consumer’s are more aware than they have ever been about the finer things in life. It may be music, comedy, design, food – almost anything that can be classified as art. Ambition: We’ve met very few artists who are really driven and motivated. May be this is because they are made to believe their drive will not get them anywhere. This needs to change. I think there should be no difference in motivation, drive and ambition between considering art, joining the army or starting a business. Everything requires hard work and the right mindset. Everything has the potential to turn out supremely rewarding. Consistency: All the successful artists we’ve worked with, have put in efforts consistently over long periods of time. They look like overnight successes but usually overnight = 3 – 5 years of constantly refining ones craft. Here is a good article that will help you be more consistent. Trust: What separates a successful artist from the struggling one is that the ones who are successful have the ability to surround themselves with people who are trustworthy and encouraging. They are very clear about where their weaknesses lie. They don’t mind admitting it and work with artist management companies, personal managers or other such organisations who protect their interests and ensure growth is delivered. I always believe, trust begets loyalty. Trust people. It’s not such a bad world after all. And don’t try to do everything on your own. Create Value: This is fundamental. Your success as an artist will depend on the kind of value you are able to create for your clients. In most cases it is value creation and in some it is solving a problem. A musician or an actor satisfies the need for people to be entertained. They make people feel a certain way. So that’s a problem solved. While it is important to stay true to your art, it is also important to keep clients interests and needs in mind. Many artists aren’t able to comprehend this and ending up with unhappy outcomes and eventually a career devoid of possibilities. Be so good, they can’t ignore you: Read this career and life changing book. Some book notes here. Like some of you may know, I have been deeply involved in running a fast growing startup in the influencer merchandising space for close to 3 years now. I’ve been fortunate enough to work with a bunch of people. Many came. Some stayed, some left. There are a few things I’ve learnt along the way after interacting with 100’s of Startup candidates and a handful of people who either worked with me or at I met at some other startup. And I think some of these learnings are worth sharing and applying. 1. Equity matters: The possibility of owning equity is the single biggest differentiator between an ordinary job and a startup job. I have met very few people who actually understand the difference and the impact it can have on your career. One successful exit, and you’ve shaved years otherwise spent in a cubicle at some corporate job. So, it is a waste of your time and the opportunity at hand if you aren’t working towards owning equity at the startup you work for. 2. Learn to Earn: A startup by definition is a place where job roles expand or change at lightening speed. Sometimes fast enough for most people to easily become irrelevant and replaceable. Primary reason being, there is no effort put into learning and growing skills. The more you seek out learning while at a startup, the more are your chances of earning. 3. Discipline: Across startups, due to the very nature of it – discipline is extremely rare and hard to find. But the good news is that rare is always valuable. Find a way to be disciplined about everything you possibly can and you will set yourself apart. 4. Be a problem solver not a problem Identifier: When a startup is formed and is growing, most times there is no absolute sense of direction. Along with a bunch of other things, It is ever changing. Situations of high growth usually come along with lack of clarity, new people and broken communication systems resulting in a lot of problems. Most of which are solvable by a proactive approach. I have come across a lot of complainers who always have a never ending list of things that need solving. And most times, this rant is being shared with the ones who have invented these problems in the first place. ( Founders or very early employees.) They know what’s wrong. Go fix something if you can, or just don’t complain and earn the badge of a problem identifier. It’s so easy to find fault, especially at a startup and there is no value in doing so. 5. Seek Criticism: I don’t know of many startups that have formal performance management systems in place right from the outset. It’s a great practice to be persistent and regular in seeking feedback on the work you do. The ability of seeking out criticism in order to grow is again rare, and will make you a very valuable startup employee. 6. Demonstrate Hunger: Most people think, startups are about what we read in the news. Glamour, fund raises and lots of money. (99% of what we read is paid PR, more on that later.) There are very few who talk about the harsh realities and what goes on behind the curtains. To make a startup work, 100% of the time, there are a few people sacrificing a whole lot, just to keep things from falling apart. If your personality and work style doesn’t contain the much needed dose of positive aggression and hunger for growth, chances of you thriving in a startup environment are almost nil. As startups become popular, the quality of workforce that is joining is only improving. This puts most of the non-hungry employees at the risk of being replaced, which is never a good place to be. 7. Control your own destiny: At least, to a far greater degree than you could at a regular job, you have the ability to control how your career shapes up while working at a startup. Make sure you utilise the freedom and access to people, different departments and roles to ensure you find all the best places within the company where you can add the most value. If your value addition isn’t moving a company forward, it is quite definitely moving it backward, thereby impacting your destiny along with everyone else’s at the startup. I’m going to start where I left off. – My previous blog post. Life is about the people we meet. It truly is. Since my last post, almost a year back, we have grown from a team of 6 to around 20 people strong and there are currently more chairs in office than there is space. I guess, these are good problems to have. So during the last year, stars aligned quite a few times again and got us in contact with few brilliant artists and creators. The first of them being – Katie Abey from the UK and Angel Bedi from Delhi. We instantly bonded. It turned out that our core purpose of being in business, was common. And that was to make people happy with the work we do. We started working and creating products together. People who didn’t know these artists, discovered their work through us. We could tell, that people loved what they saw. At stores, We often spotted people picking up these products and smiling wide. We realised that there could be strength in numbers. We knew, If we could get more like minded people in the wagon along with us, our goal of spreading smiles and happiness wouldn’t be far away. We decided to create an umbrella brand. A brand that would set us off on a journey together. So we could leave happy trails wherever we went and with whatever we did. Quite naturally, we ended up naming our wagon (Brand) – Happywagon. 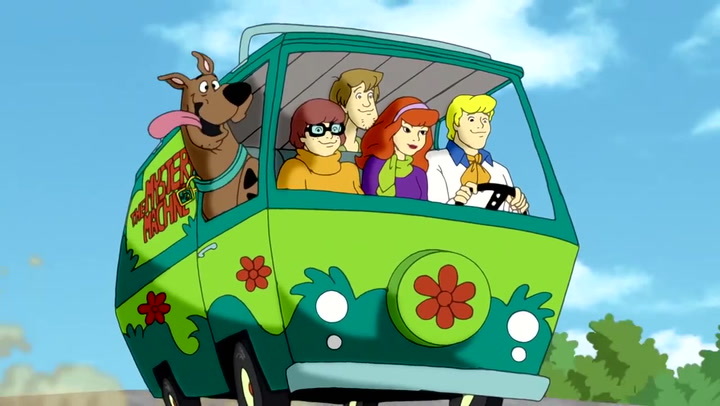 It’s literally, just the start and it’s already got us feeling like the Scooby doo family. (especially when one of our pet members walks into office) Solving mysteries and hopefully spreading smiles as we keep wagoning along.